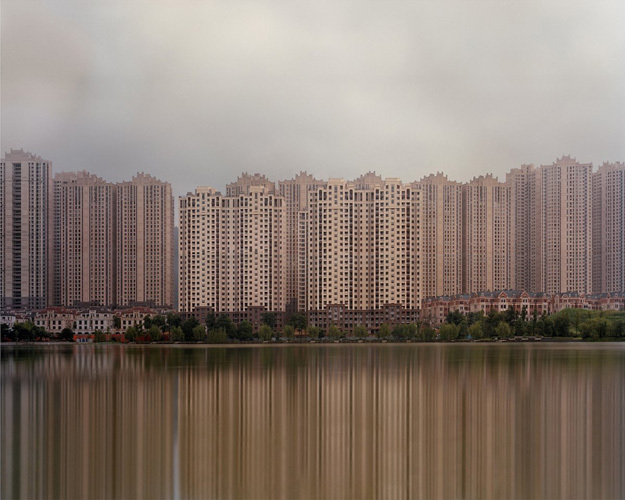 In a master plan of mass urbanisation, China’s ghost towns are a wonderment of cold architecture and bizarre loneliness. But what are these so called ghost towns? In a few decades of mass spending and a racing economy, conjoined with China’s plan to relocate approximately 250 million citizens from rural dwellings to urban cities by the year 2026, hundreds of urban areas have been constructed in different areas across the country. But they are mostly sitting empty, devoid of both people and life. They are high rise cities of six lane roads with no cars, hospitals with no doctors, offices with no workers and apartments with no people. 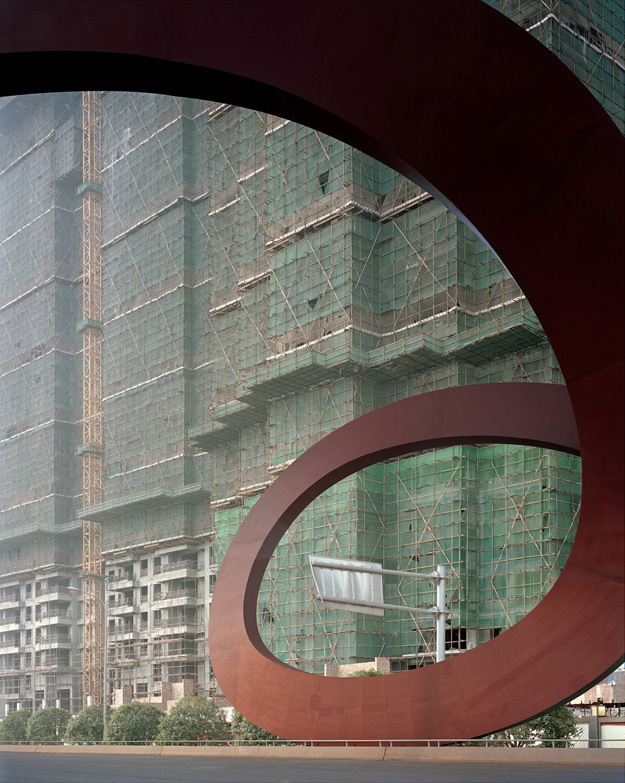 Chicago based photographer Kai Caemmerer recently journeyed to China to photograph a selection of ghost towns, which he has put together in his photographic series ‘Unborn Cities‘. 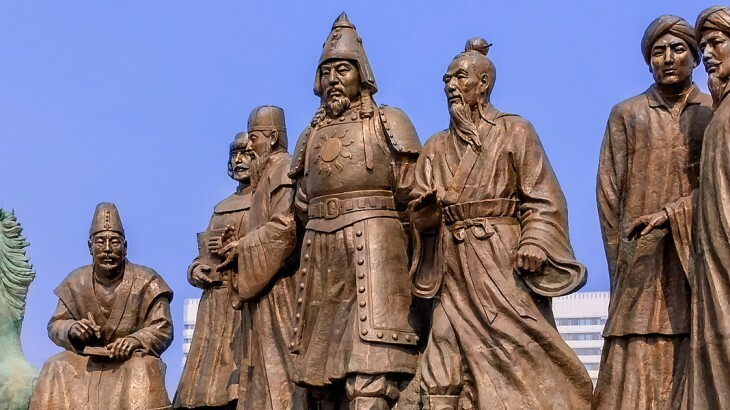 One of the cities he visited was Ordos, located to the west of Beijing in an area known as Inner Mongolia. Its urban expansion is the district of Kangbashi, a sprawl of 130 square miles of modernity and emptiness. Unborn Cities, No.18, 2015, 55 x 70 inches. Pigment print. Following a long period where infrastructure projects have accounted for the majority of China’s growth, its hope is that by urbanising the millions who live in rural areas, further economic growth will be sure to follow with job and wage growth. And the only way to urbanise in China’s eyes is to build; an easy feat with cheap land and a mass supply of construction workers. The rate of this urbanisation though has not been met with the speed of the lives of the Chinese; nor has it met their social needs. To fully appreciate how ‘dead’ these cities feel, we suggest reading an article on The Bohemian Blog by Darmon Richter. He has thoroughly explored the city of Ordos and its empty Kangbashi district, and his photos show the sheer scale of this ghost town. Ghost Towns in the Future? Unborn Cities, No.88, 2015, 55 x 70 inches. Pigment print. More importantly, will these ghost towns still be uninhabited in the future? There are two sides to this camp. On the one hand, China’s economy is slowing down. Construction and infrastructure projects may slow down as well, and jobs may not be as readily available. The big move from rural to city will be affected by this, prompting those who were thinking of moving to these new cities into pondering their decision. And if the government continues to build apartment blocks and commercial property without the appropriate infrastructure, then these ghost towns will continue to be just that: ghosts. On the other side of the coin, some local administrative governments have started to address this lack of infrastructure, which holds back a forever move to the city. Government buildings, schools and hospitals have been relocated in Kangbashi, with some success. You also have to think that the notion of a ghost town is quite foreign to the western world – we build when there is a need or a shortage, whereas the Chinese Government have planned much more in advance. There’s still a long way to go though; all the while a city with space for 500,000 people waits to be filled. 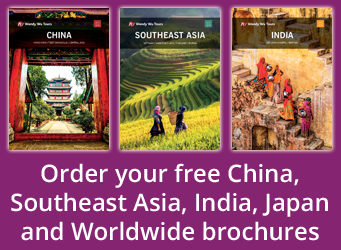 Look through our award-winning China holidays with the UK’s leading China Experts, Wendy Wu Tours. Our escorted, fully inclusive China tours visit all the major sights of China for an unforgettable holiday.